great for easily moving a wide variety of items. 2 deck styles to choose from - Solid Deck, and Flush Deck. Casters on all 900# cap. dollies are 3" x 1.25". Casters on all 1200# cap. 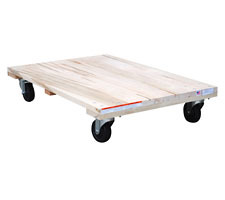 dollies are 4" x 1.12"
Platform Heights for Solid Deck and Flush Deck are 5.5" for 900# cap. and 6.75" for 1200# cap. 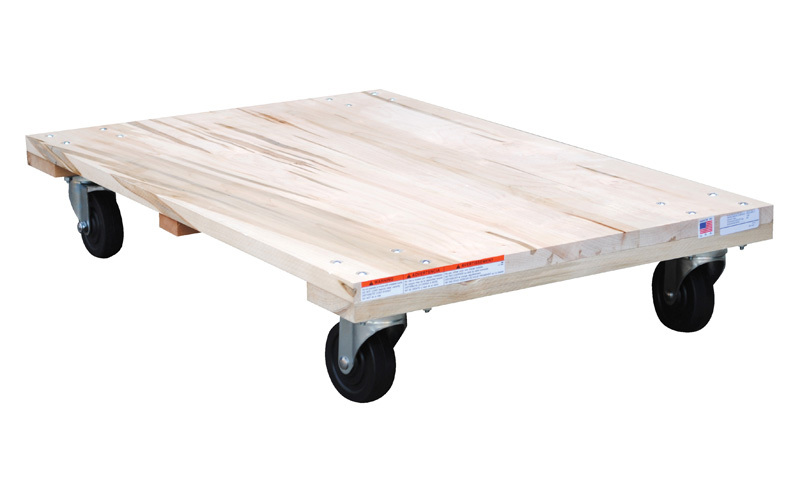 This innovative cart makes it easy to traverse stairs or other difficult terrain. 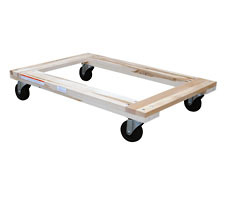 This standard dual handle hand cart is used for transporting small loads of boxes and packages. Stabilize loads during shipping and prevent damage caused by strap cutting with Edge Protectors. Wow, am I glad I found this...I own several small storage facilities and I have ordered two of these so far. I rent them out to my customers for $5/hour. They've already paid for themselves. I plan on ordering at least three more as soon as I finish my expansion project. 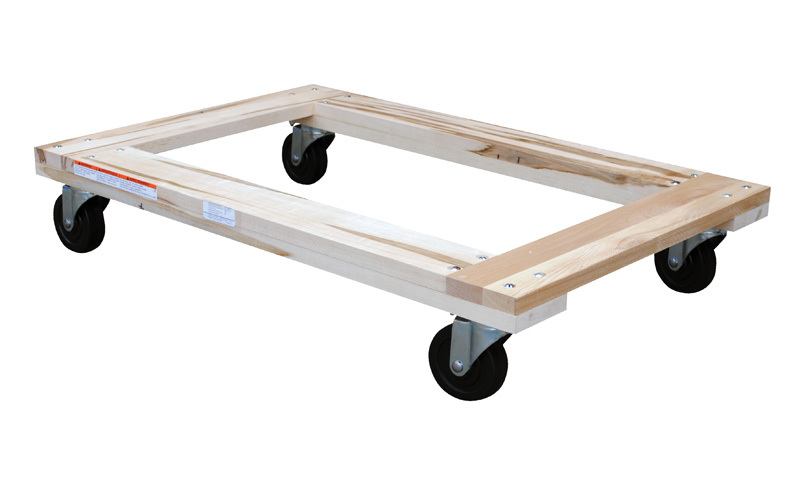 I have two of these in my small storage space and am very impressed with how easily they glide when loaded down. We use these on a daily basis when moving inventory out of the back room onto our sales floor and I am very happy with them. The only thing I was upset about was how long they took to get the dollies to me. I ordered them on the 4th of January and they didn't arrive until the 20th. I was told this was because I am in Florida but I would think they could still get them to me in a little less time. Overall, a good product - but work on your delivery times. The high quality vinyl dollies came in very handy last year when moving furniture into my new house. No wrenched or sore backs - which made my husband very happy. Good casters make it easy to move loads around the shop floor. I would recommend the vinyl covered model you sell as we have both and like the vinyl better.